Summer travel time is coming! I love traveling with my family, but we’re cheap/frugal/poor, so we don’t usually fly anywhere, we just go places within driving distance. We do road trips more often than anything, and we’ve been doing them for a LOT of years. When I first wrote this, we also didn’t have a TV/DVD in the car and our kids didn’t have Nintendo DS’s, mp3’s, or anything electronic. And usually we all arrived unscathed. Well, at least we were all still alive when we got there. 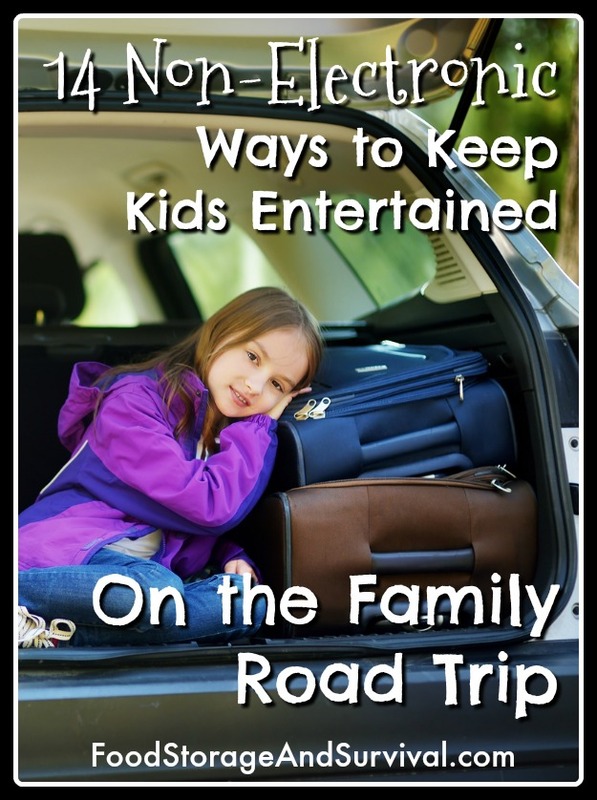 So I’m sharing a few of my favorite tips we have used and loved that can help your family survive and even enjoy those long road trips together–no electronics involved! 1. Play classic word games like I Spy, 20 Questions, etc. One we like is “I’m going on a picnic” where we take turns saying things we’ll take on our picnic–one for each letter of the alphabet. Then each turn you have to remember everybody else’s picnic items before adding the next letter item. Fun. With smaller kids you can do this one and skip having to recite all the other letter items. You can twist up I Spy by using colors, “starts with” some letter, or using things inside or outside the vehicle (I Spy outside in a Wyoming snowstorm using colors is pretty limited, but add the inside of the car and things get a bit better). 2. Write every passenger’s name on one car tire with sidewalk chalk before you leave. Every time you stop, see whose name is on the top of the tire. Celebrate with a treat or just keep a count of who ends up on the top the most. 3. Play telephone. Or have one person write a word with their finger on the next person’s arm and pass the word that way across the seat. Have the last person guess what the original word was. OR write letters on each other’s backs and guess what they are. It’s harder than it sounds. 4. Get a map of where you are going. If you’re ahead of the game, you can order maps from each state’s tourism department. Otherwise, buy a map. If you’ve got an “Are we there yet?” kid, this is $5 well spent. Mark your route. Have them navigate or count towns or answer questions about where we are. 5. Plan some surprises. My mom would circle random towns on the trip and when we got to that town she’d pull a “Razzle Dazzle Travel Gift” out of the trunk. These were things like a treat, or a small toy, little lego kits, something to keep us busy for a while and break up the monotony. A couple of my favorites were plastic army men and rubber bands so we could set them up and shoot them down (in a van before the days of seatbelt laws) and bubbles we could use with the air conditioner vents. Total driver distractions, but SO fun as a kid. You can probably come up with things that aren’t so dangerous! 6. Stop at rest stops and let the kids run around. Yes, this adds time to your trip, but kids need exercise! You can read the Historical marker while they run around the car 29 times. 7. Take some magazines. Crossword puzzles or word searches for the older kids. Other game magazines are good also. 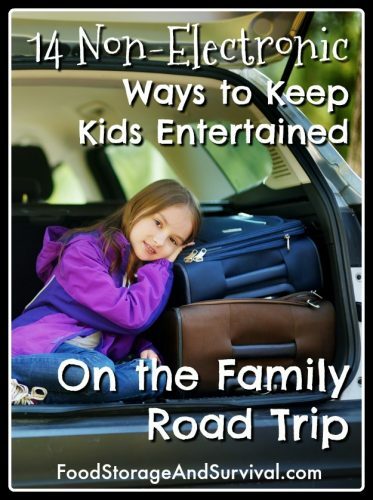 Magazines and books for reading are also good if your kids don’t get carsick. One game that kept our kids busy for hours used a magazine and a sticker. Stick the sticker somewhere in the magazine and have the kid find it. They might want to place the sticker somewhere else and have you find it (if you’re not driving) or you can just re-stick it somewhere different for them to find or have them hide it for each other. 8. Sing songs. Get a handful of CD’s or load up your ipod with music you all can enjoy and sing away. The people driving next to you won’t notice, I promise. Well, unless you have your windows down. 9. Give the kids a pencil and paper and let them draw what they see or write notes or draw monsters or whatever. 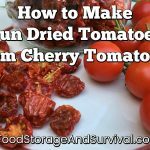 As simple as this is, it has been a lifesaver on some of our trips. One paper game we played was where one person drew the head of a monster and folded the paper over, then the next person drew a body and they got to open it and look at their creation and laugh. Kept them busy for quite a while. 10. Do some research about where you are traveling, or have the kids do some and be the tour guide. 11. Play license plate games. Find a license plate from as many states as possible and keep a list. Make words from the letters on a license plate. So if the plate is 142MNY, you could use MNY to make a word like MoNeY or you could use MNY to make a phrase like My New Yucca. 12. Count cars. Find fifteen blue cars, then 12 red cars, then 27 silver cars. Let the kids pick the colors and numbers. 13. Find the alphabet. This is one even my older kids still do. Start at “A” and find every letter of the alphabet, in order, on a sign, vehicle, or license plate. Watch out for J, Q, and Z! Those are tricky. This is easier in cities with lots of signs and takes a LOT longer driving through rural America! 14. Let the kids take their pillows, stuffed animals, etc. and have blankets available for enforced quiet time in the car. You’ll probably need some. We usually offer some reward for so many minutes of silence. It’s totally worth it. Just so you know, these are not fail proof. We still have the “she’s touching me” and “he’s breathing my air” times. But we’re a lot better equipped to handle them if we’ve got an arsenal of activities and ideas to keep boredom at bay in the car. This is a great post! I love that your ideas are all simple and non-electronic. Enjoy your trip and congrats on 15 years! Lea's Ipod died the day before our move from Tennessee to Fort Wayne. She thought she would kill over and die but we just put the radio on and she just changed the channel…back to the basics but for a moment she couldn't imagine not having it. She hasn't had one for over a month but instead she's been reading tons of books! These are some GREAT ideas! And I am totally against the movies and ipods in the car so I love the ideas. We are cheap too, so cheap that we have actually never really been in the car that long. I think California was about the longest. Anyway, have a great trip and happy birthday to your two oldest! Miss you! Oh, and 15 years?! That is so awesome! Have a wonderful anniversary! I was thinking about you guys last week when we celebrated our 18 years of togetherness. I still remember when your sweet hubby told me he was thinking of proposing to you. Happy Anniversary! I LOVE the license plate game, but K doesn't, unfortunately. One year we got all but South Carolina and we spent time driving around parking lots just looking for that one the last day of our trip. We're headed to do some lizard consulting work down near our old stomping grounds, so I appreciate your suggestions to help keep the children and parents sane on the drive. I am all for bribery in the car to get kids to behave. Mine would see a McD sign and beg for hamburger just because they saw the sign announcing it in 15 miles. so, I would break out apples and have them eat that until we got there, actually half an apple each. Plus, it was a good time to pick things up in the back seat after they ate the apple. It is not exactly a game, but I used it as a game…lol. I was going to get them the McD anyway. We only ate at McD once, but they had to behave for at least ten minutes.